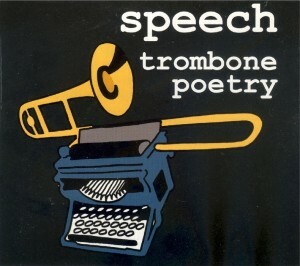 The debut trombone poetry album, speech, emerged in 2008. It was recorded by Simon Edwards at Butcher’s Shop Studio, and features 27 original tracks, with the general theme of jazz and the jazz life. As in the live performances, there is no multi-tracking or electronic effects. The CD costs £5 (+£1 p&p), and is available at all trombone poetry gigs and Blowpipes Trombone Trio gigs (and directly from Paul Taylor at any of his other gigs).